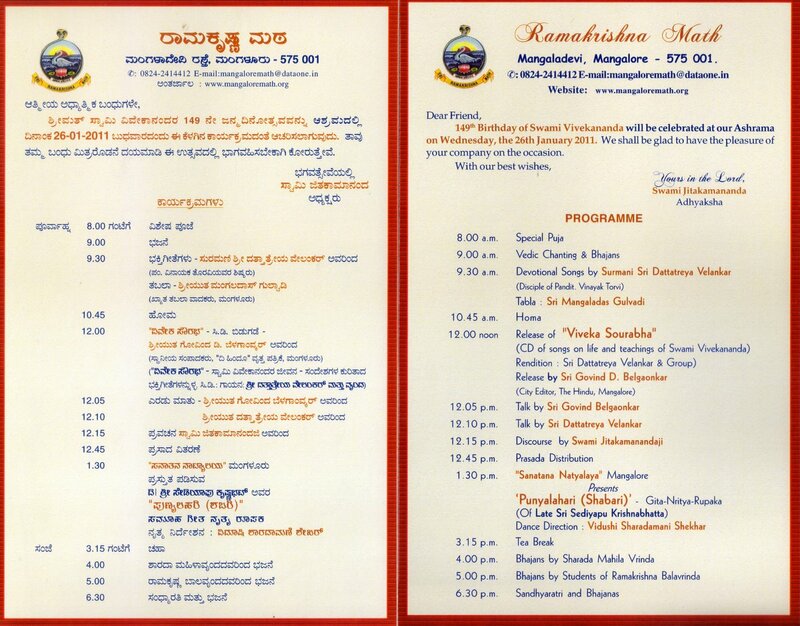 Swami Vivekananda’s Birthday Celebration | Ramakrishna Math & Mission, Mangaluru. We are celebrating the 149th birthday of Swami Vivekananda on the 26th January according to the programme given below in our Ashrama. All are invited to attend the programme and be benefitted.